All the way back in 2011, LG introduced to the world the first ever phone with dual cameras. 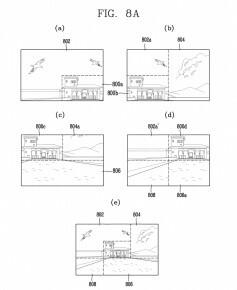 Today, the Korean OEM went several steps ahead and filed a patent for a smartphone that has sixteen (yes you read that right) cameras. 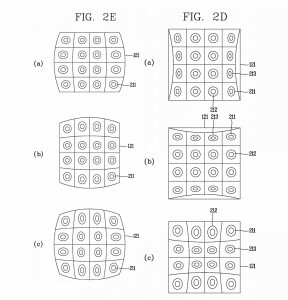 LG received a patent from the United States Patent and Trademark Office for a ‘Mobile terminal and control method for the mobile terminal’ which describes an LG smartphone camera with sixteen lenses that are set up in a matrix setup. 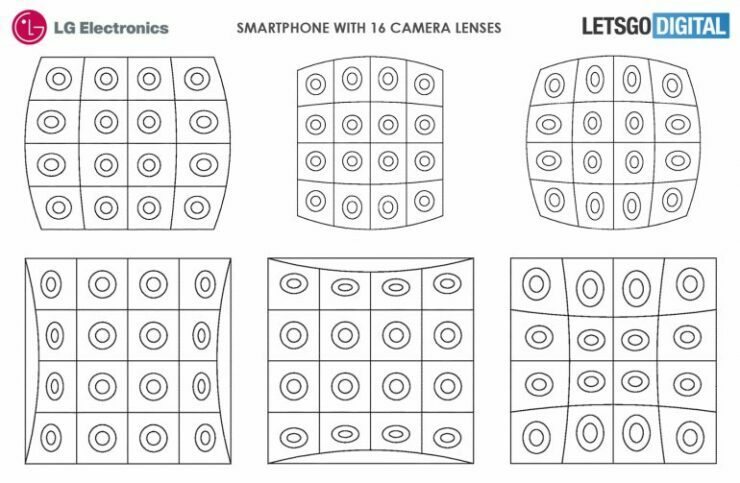 The lenses are placed in a certain curvature within the matrix arrangement so that the different lenses can make photographs from multiple perspectives. There are several photo scenarios possible. A user can even choose one specific lens to take a photo. Additionally, it is also possible to capture a photo with multiple lenses at the same time. You can then choose the best photo from a series, but it is also possible to combine photos taken at the same time by different lenses into a moving image. A part of the photo can then be cut out, to replace this part for an image that has been captured by another lens. It is even possible to combine several parts of different photos. You can also select a head of a person or object, after which you can turn it into almost any desired position. Another exciting feature of the phone is that a flash and a ‘mirror’ are placed outside the camera which works with the rear camera to enable a user to click selfies. According to LG, the main camera provides better image quality than the front camera thereby resulting in higher quality selfies. However, the device still comes with a front camera as it is useful for video calls and the likes. 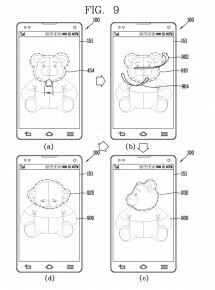 The patent also suggests other ideas such as a loudspeaker on the back. 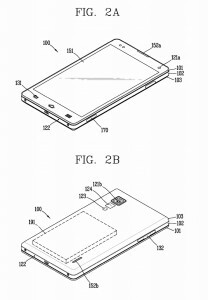 Combined with a loudspeaker on the front, it will make for wide stereo sound.